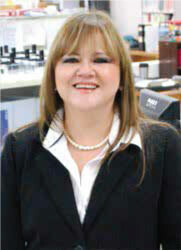 Our leadership team has decades of experience and expertise in every aspect of manufacturing in Mexico. Sergio has spent the last 30 years pioneering administrative service solutions in Mexico as the head and founder of IVEMSA. Today, working with government in all parts of the continent, he is one of the country’s most respected business leaders in the field. Sergio has served as president of both the Mexicali Maquiladora Association and the Mexicali Industrial Development Commission. He was appointed as Secretary of Economic Development for the State of Baja California by the governor in 2001 for a six year term. Today he is on the board of the National Maquiladora Association & President of the board for the Economic Development Council of Mexicali, continuing to influence policy on all levels to the benefit of clients and business community. 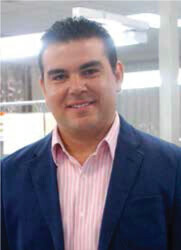 Sergio has both a bachelor’s and an MBA in Industrial Engineering from Instituto Tecnologico de Cd. Juarez (ITJ). Alfredo joined IVEMSA in early 2012 to focus on sales and marketing including new market/customer strategies and negotiations. His background includes more than 12 years of experience working for private and public organizations in the manufacturing, economic development marketing and foreign direct investment (FDI) fields. Prior to joining IVEMSA, he spent four years as Executive Director of the Industrial Development Commission of Mexicali, a business organization which focuses on international marketing and FDI’s attraction for Mexicali. He holds a bachelor’s degree in Industrial Engineering from the Instituto Tecnologio de Mexicali (ITM). He also graduated as an Economic Developer from the University of Oklahoma, and also holds a corporate finance diplomat from Instituto Tecnologico y de Estudios Superiores de Monterrey (ITESM). Patricia has more than 25 years of experience in auditing, and fiscal and financial consulting, working for national and international CPA firms such as Gossler and Mosso. She is a skilled liaison between headquarter and off-site manufacturing operations in the implementation of accounting and payroll programs as well as policies and procedures that comply with Mexican corporate guidelines and fiscal and labor laws. Patricia has a bachelor’s degree in Public Accounting from the Baja California State University, along with several certificates and continuing education on fiscal, transfer pricing and other related finance issues. 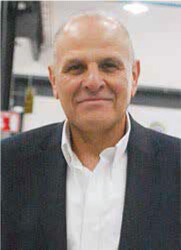 For more than 19 years, Marco has been involved daily in foreign trade and customs issues. 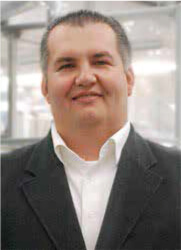 Coming from a strong customs brokerage background, he is specialized in HTS classification and duty impact analysis. Marco is an active member of the Mexicali Maquiladora Association’s foreign trade committee as well as a member of the National Maquiladora and Manufacturing Industry Council (CNIMME). His expertise is focused on the dynamics of Mexican Customs legislation and its effects on the maquiladora industry. Marco graduated from the Iberoamericana University. With more than 10 years of experience in human resources, Gabriela has been working for IVEMSA for over 7 years helping different companies to grow up by providing services in policy creation, sourcing and talent acquisition, performance management, labor relations and continues improvement inside the human resources processes. 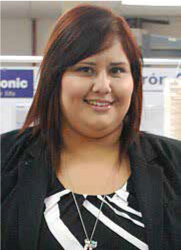 Gabriela has experience in different company sectors such as aerospace, construction, electronic and medical devices.